If you think it’s still hard to find cruelty free and vegan makeup in 2018 then think again! Find below are our top picks for cruelty free makeup brands, vegan skin care ranges and organic night balms available in the UK. Superdrugs own’ B. Makeup, available both online and in store. The B Make Up range is cruelty free and suitable for vegans and also Leaping Bunny approved. The B range range covers everything from foundations to concealers, lip scrubs and setting sprays and also includes makeup brushes, application sponges, eye-lash curlers and tweezers. e.l.f. Cosmetics have a complete make up range at an affordable price. e.l.f Cosmetics bargain makeup pricing makes e.l.f Cosmetics a great makeup brand for those on a budget. Barry M are a well established UK brand who have been cruelty free since the eighties. Barry M is very similar to e.l.f in the sense that they both offer high quality makeup at affordable if budget prices, However Barry M also has an excellent range of eye-shadow pots and lipsticks. RawBorn is a new comer to the seem and is a 100% organic vegan skin care specialist. Their first product is a Healing Balm which is 100% organic and cruelty free and contains fabulous ingredients including moringa, black seed oil, rosehip, coconut oil and shea. 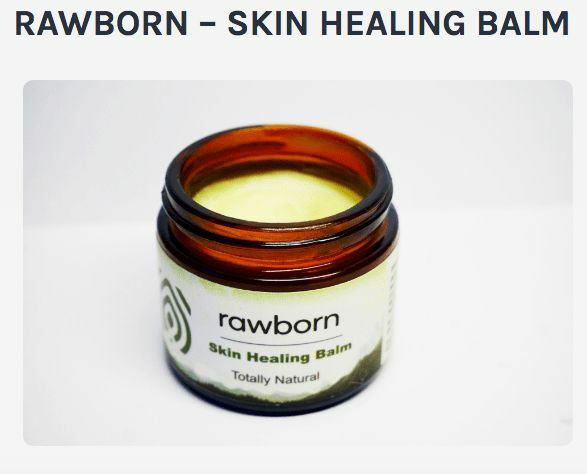 We were so impressed by RawBorn both as a new company and as an organic skin care company we’re working in collaboration with RawBorn to bring our customers an amazing 100% organic healing Night Balm to improve your night time routine and help your skin recover and replenish. This Skin healing Night Balm is composed of natural ingredients taken from ancient remedies that have been used throughout the ages. It is handmade to provide deep nourishment and protection to those that have damaged, problematic and troublesome skin, fighting symptoms such as Psoriasis, Eczema, Scarring, Pigmentation problems, Acne, Wrinkles and more. The Body Shop were the first global beauty brand to fight against animal testing in cosmetics and along with Cruelty Free International their combined efforts led to a European Union ban on animal testing in 2013. The makeup range is cruelty free, 100% vegetarian and contains no carmine, no petroleum, no mineral oil and no gluten. As for vegan products, they offer a large range of foundation colours (around 16 shades), brow and lash gel, blusher, eyeshadows and bronzers, amongst many other products. Cruelty free makeup brands vegan skin care If you think it's still hard to find cruelty free and vegan makeup in 2018 then think again! Find below are our top picks for cruelty free makeup brands, vegan skin care ranges and organic night balms available in the UK.